The T5000 is a high specification treadmill combining a powerful motor and a comprehensive programme selection, with detailed feedback for maximum performance. From practical, durable frames to smart, simple operation, the T5000 is committed to ensuring every detail in our search for the features and functionality you demand. Creating products with the power to enhance the overall experience as you work towards your fitness goal. 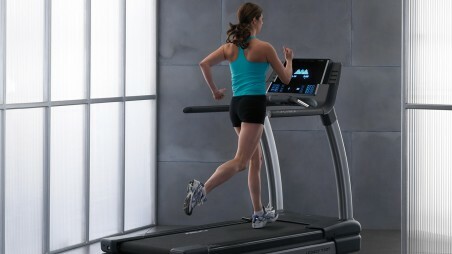 Discover the difference that the right fitness equipment can make. Passport Ready: Run, hike or ride through your destination as dynamic, high definition video content is displayed on your television. The experience is further brought to life as you feel gradual terrain changes under your feet as you go up and down hills or stairs (on treadmills); and as you hear the ambient sounds of your destination through your speakers or headphones.